Reading the blurbs on the back cover for Samaritan, one would have high expectations. Stephen King waxes that "The tension mounts until the story thrums like a wire in a windstorm," which implies that it is a fast-paced thriller. Thom Jones mentions Richard Price in the same sentence as the great literature of the world. But in fact Samaritan is a slowly unfolding story about Ray Mitchell, a Hollywood writer who has moved back to New Jersey. The novel starts out with him in hospital after being attacked in his own home, and he refuses to tell Detective Nerese Ammons who did it. For much of the book, Ray lies in the hospital bed drifting in and out of consciousness, replaying the recent past in his mind, while Nerese interviews the people in Ray's life trying to solve the mystery. Unfortunately, the story lacks dramatic tension and it is hard to care whodunit. To be honest, I found it hard to get through the last third of the novel and lost interest in the characters. The central point of interest in the book is Ray's return to the old neighborhood in which he grew up. He loves to tell stories about his past and soon after his return, he starts meeting up with his old friends, acquaintances, and their children. Particularly interesting are Ray's feelings about race and class -- he has left a life of relative poverty and deprivation and become successful, but most of the people from his past face still many problems that stop them from moving on. Ray feels guilty about his wealth and success and people seem to play on his guilt to get him to help them financially. He also finds a way to help others through teaching creative writing at a local high school. The scenes in the classroom are some of the most powerful in the book, with Ray struggling to find a way to communicate with the adolescents in the class. Price manages to convey the humor and tension of those episodes and the reader wants to get to know the teens better. It is disappointing that this part of the plot peters out with those characters simply drifting out of the story. Samaritan is distinctive in its exploration of a writer's confronting the meaning of his past. However, half of the book rests on the figure of the detective Nerese Ammons, and much of her investigation fails to ignite the reader's interest. The storyline would have been a lot tighter and the book more focused if that half of the book had simply been dropped. Readers who enjoyed Price's previous semi-autobiographical novels Freedomland and Clockers may be especially interested in Price's return to personal themes in this work which clearly also reflect his own experience. 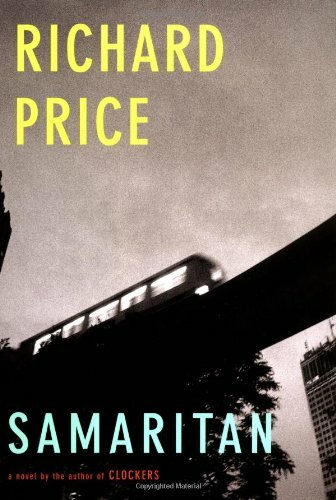 Other readers may prefer to seek out Price's short stories and essays rather than take on this rambling lackluster novel.